Welcome to our range of Clothes Moth Pest Control Products and Supplies that can be seen below this short write up. If you prefer to order by telephone, please give us a call on 03330 119703 UK. 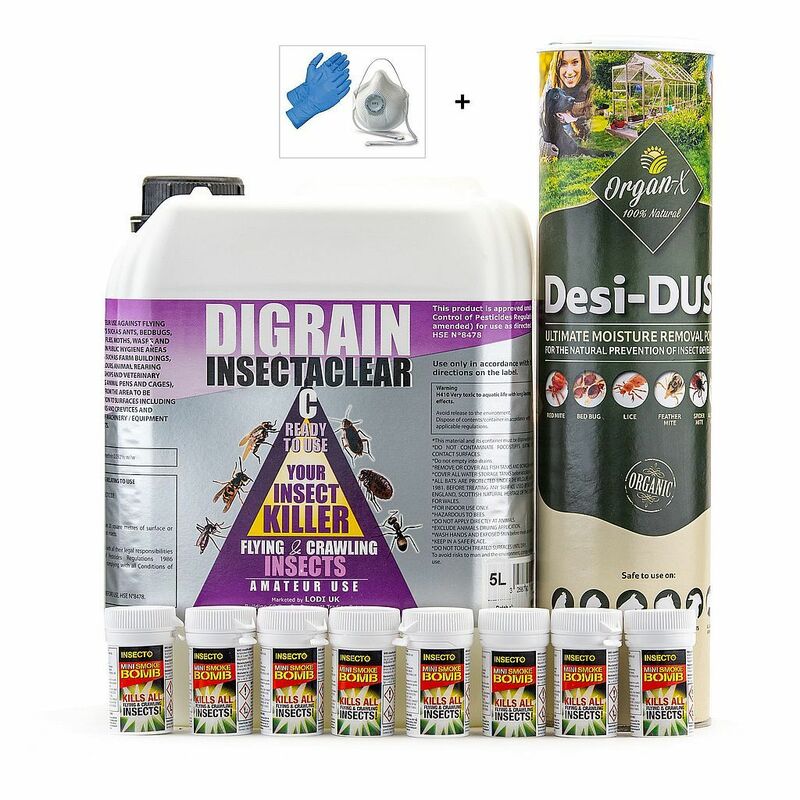 We supply the best and most effective DIY Clothes Moth pest control products available to buy online for delivery throughout the UK, France, Italy, Spain, other parts of Europe and the rest of the World. The main clothes eating bugs are the Webbing Clothes Moth and the Case Bearing Clothes Moth or the Carpet Moth, Brown House Moth and the Tapestry Moth can also eat away at garments made of cotton, linen, silk and wool. It is the larval stage of all these insects that cause the damage. Clothes Moths can fly into the home or business as they are often found outside in the garden and often reside in birds nests. They are also found in various plants or shrubs in the garden before they make your home their home. Very often these insects then settle themselves into loft insulation where they live and breed. Clothes Moths can also be brought into the home after being in close contact with someone who has has a clothes moth problem in their house or they can come into the home after buying garments in charity shops. 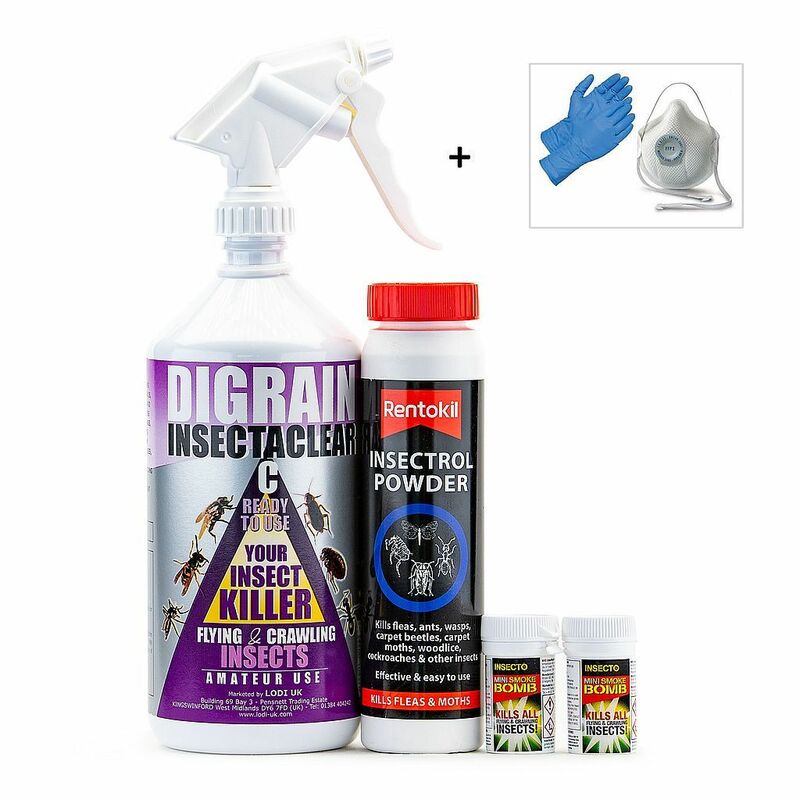 We have put together three comprehensive Clothes Moth Kill and Control Treatment Kits, as well as other pest control products which include, Insecticide or Organic Killing Sprays, Insecticide or Organic Killer Powders, Clothes Moth Fumigating Power Foggers and Fumigation Smoke Bombs. 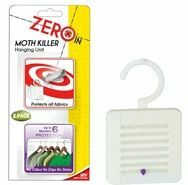 We also supply Pheromone Traps, Wardrobe Hangers and Drawer Papers and all of these products are for killing or preventing a problem with clothes moths. If you would like to repel or prevent a problem with fabric eating bugs, we stock Wooden Moth Balls and Coat Hanger Rings made of Red Cedar Wood as well as a Refresher Spray to treat these repellent products roughly about every 6 months. Our products have been chosen for being the best and most effective in the treatment and eradication of Clothes Moths. 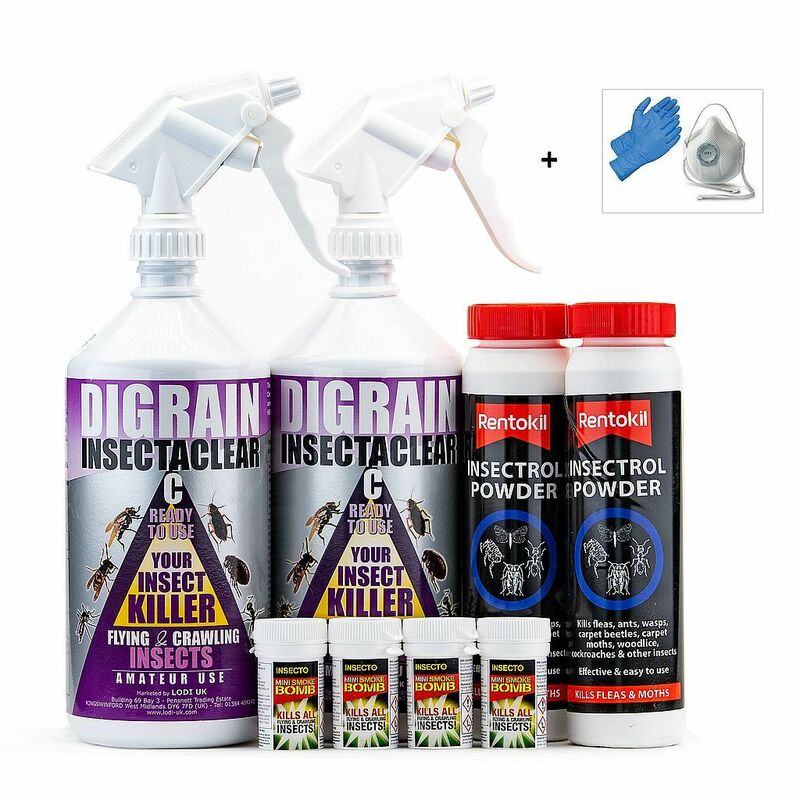 These pest control products will kill or repel, stop and get rid of garment eating insects found in the home or business. What is the Best and Most effective way of stopping and getting rid of Clothes Moths? Please note that an inspection of all carpets and rugs in any affected room should be carried out to make sure there are no fabric eating moths present. If you find evidence of moths or larvae, the treatment of carpet moths is similar to the treatment of clothes moths but you may wish to see our Carpet Moths Category. Clothes Moth Kill and Control Treatment Kit 2 contains a combination of pest control products to treat 3 - 4 rooms with a clothes moths infestation. Clothes Moth Kill and Control Kit 3 contains a combination of pest control products to treat an infestation of clothes moths in 5 - 6 rooms. 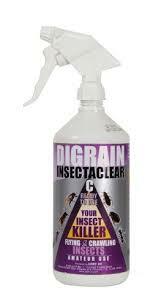 Clothes Moth Kill and Control Spray 1 Litre contains cypermethrin to eliminate an infestation of clothes moths. Clothes Moth Kill and Control Insecticide 5 Litres contain cypermethrin. 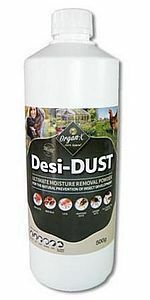 This is a residual product that knocks down and kills clothes moths on contact and it leaves a residual layer that continues to work for several weeks after the initial treatment. 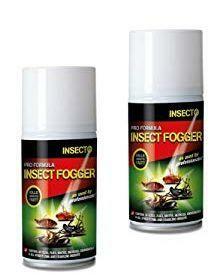 1.5 Litre Clothes Moth Insecticide Hand Held Pressure Sprayer for use with our Clothes Moth Kill and Control Insecticide for sale in a 5 Litre container. 5 Litre Clothes Moth Insecticide Pump Action Pressure Sprayer with shoulder strap is ideal for use with our Clothes Moth Kill and Control Insecticide to buy in a 5 litre container. 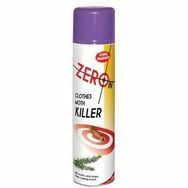 Zero In Clothes Moths Killing Aerosol Spray 300ml for spray treating areas where clothes moths, their eggs or larvae have been seen. This product kills all stages of the clothes moth. 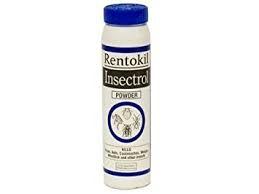 Clothes Moths Killer Powder 150g is an insecticidal dust in an easy to apply puffer pack. Use around carpet edges, under furniture and any nook or cranny where you have seen evidence of a clothes moth infestation. Clothes Moth Fumigating Power Fogger x 2. Clothes Moths Mini Fumigation Smoke Bombs x 2 flush out and kill clothes moths, their eggs and larvae. Our price includes VAT. 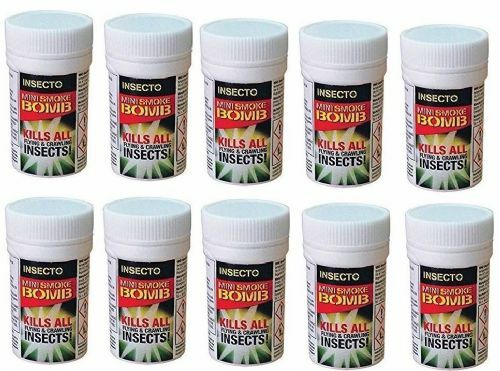 Clothes Moths Mini Fumigation Smoke Bombs x 4 will kill and get rid of clothes moths, their eggs and larvae. Our price includes VAT. Clothes Moths Mini Fumigation Smoke Bombs x 10 will kill all stages of clothes moths including their eggs and larvae. Our price includes VAT. 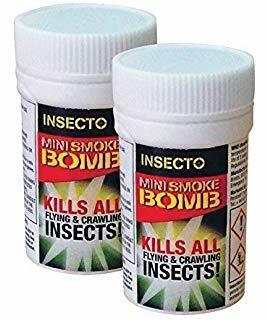 Clothes Moths Mini Fumigation Smoke Bombs x 20 will flush out and kill all stages of the clothes moth including the eggs and larvae. Our price includes VAT. OA2KI Clothes Moth Kill and Control Spray is a completely natural and non toxic product that kills all stages of clothes moths - their eggs, larvae and the adult insect. 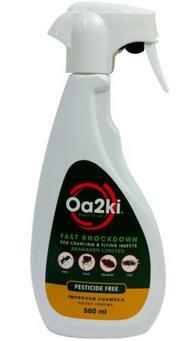 OA2KI Organic Clothes Moth Kill and Control Spray Powder. Organic and Chemical Free Clothes Moth Killer Powder 500g. Made of crushed sea fossils that penetrate the insect, drying them out and killing them. 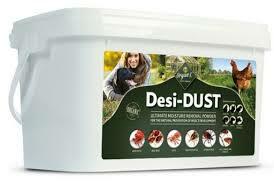 Organic and Chemical Free Clothes Moth Killer Powder 2kg is Diatomaceous Earth which is made of crushed sea fossils. This dust penetrates clothes moths, their eggs and larvae drying them out and killing them. Gilmour Clothes Moth Killer Powder and Dust Blower is a professional standard applicator for our organic or insecticide killer powders. Has a long reach nozzle to reach into out of the way places. 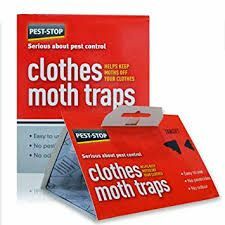 Clothes Moth Pheromone Glue Traps x 2 attract the male clothes moth onto the trap by using a species specific pheromone attractant and this breaks the breeding cycle of clothes moths. Wardrobe Hangers to Kill Clothes Moths x 2. Hang in wardrobes or on clothes racks to eradicate clothes moths, their eggs and larvae. 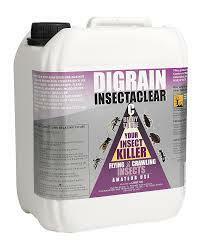 Use also to prevent an infestation of these damage causing insects. Clothes Moth Killer Papers x 2 will kill clothes moths or give protection to garments to prevent an infestation of these damage causing insects. 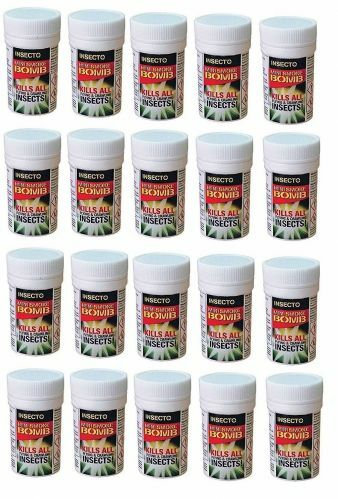 Clothes Moth Repellent Herbal Sachets x 10. Moth Balls made of Red Cedar Wood x 24. Place in wardrobes, drawers, storage boxes or suitcases to repel and prevent an infestation of clothes eating moths. Coat Hanger Rings made of Red Cedar Wood x 12. Ideal to use on clothes hangars or place in drawers, storage boxes or suitcases to prevent an infestation of these damage causing insects. Refresher Spray for Moth Balls and Coat Hanger Rings made of red cedar wood. These moth repellent products need refreshing every 6 months.